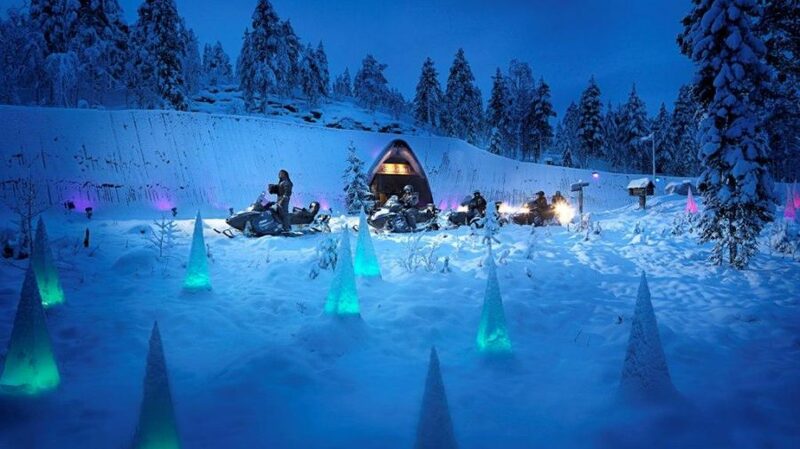 You can find the magical line of the Arctic Circle located on exact spot of SantaPark cavern. Inside the cavern you can actually undercross the Arctic Circle 50 meters below the surface, enjoying the snowfall regardless of the time of the year. 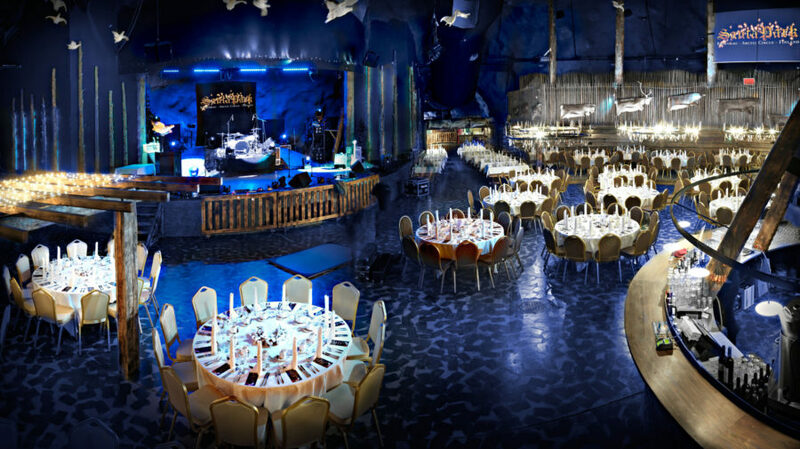 Undercrossing the Arctic Circle leads You to Ice Gallery, where the beautiful Ice Princess is waiting You to enter her ice-cold ice world, where cheeks turn red and brisk air of minus degrees clears up Your mind – also in the middle of the summer! 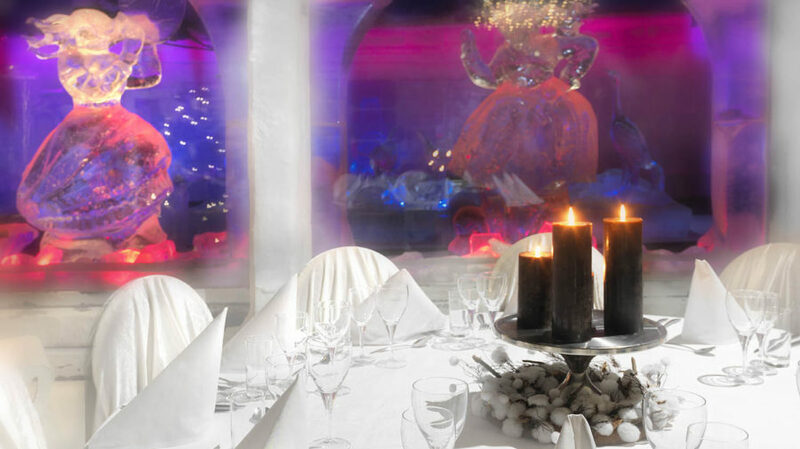 Warm up Your toes with Ice Princess´s magic drink made of special, secret ingredients, and served from a glass made of ice! 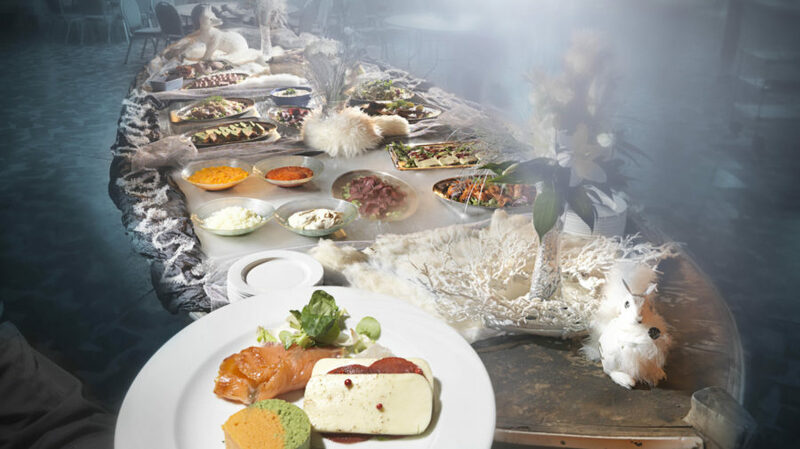 In the surroundings of the Ice Gallery and Undercrossing dinner or lunch can be served for up to 30 guests. In SantaPark You can also host bigger parties for up to thousands of guests in SantaPark Kota –restaurant. Taste the delicious dinner while enjoying romantic and exciting SantaPark Show performed by professional dancers on the main stage. Live music tempts You to step on the dance floor, and thematic bar serves the best cocktails until the late hours of the evening. Or perhaps you would like to introduce one of the best known celebrity of the world to your guests? Father Christmas himself will greet his guests in his home cavern, where this precious moment is captured in a group photo.